Everyday technology comes with a new morning with a lot of innovative activities. With the every passing day, it is being better and better. 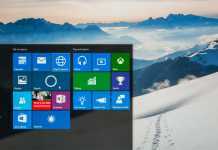 The start menu vanished in Windows 8 and 8.1, which has now returned back with a lot of modification and new functions in Windows 10. It is an operating system with no problems. This was the first time when Microsoft offered an OS for free for its genuine users. It is no doubt that, I am one of them. You can get other Windows 10 tips and tricks here. This future of Microsoft, but many people still missing some features of earlier versions, like Windows 7 start menu in Windows 10. The new start menu does a pretty decent job of taking us back to the old feature we all know and love, but it’s still not exactly the same. It has live tiles and programs are arranged in alphabetically, that may not be suitable for some of us. 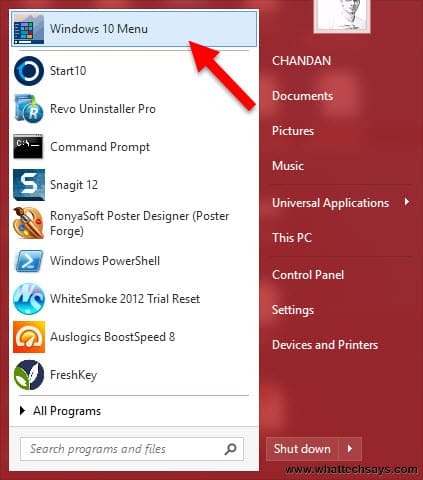 For those diehard fans of the old start menu, here is the solution. 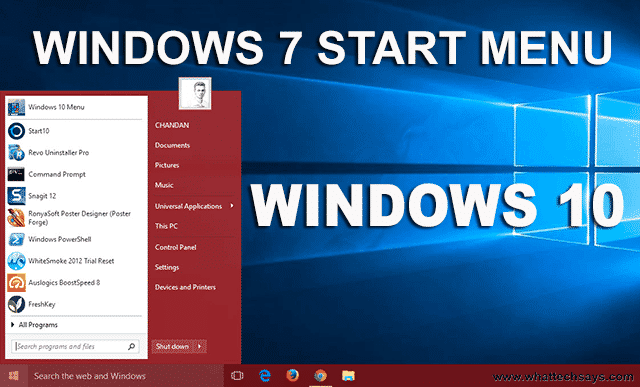 To install Windows 7 start menu in Windows 10, you need a PC with Win 10 activated and Internet connection. 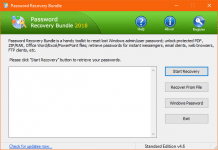 1) Start your Win 10 PC and open any web browser. 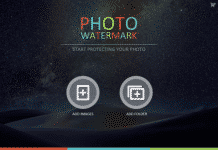 2) Now download Start10 package from the StarDock website. 3) Install the program. After complete of installation, you’ll get the old look in your start menu. 4) To revert back to the original menu, just click on “Windows 10 Menu” option. This utility program comes with a 30-days of a free trial period time limit. After the limit, you can buy it or just $5. I think it is a small amount to get back Windows 7 start menu in Windows 10. Try this today and share your opinions.